Teaching is a skill, but for some of us, it is also a passion. I've found a way to continue to stay home with my children while teaching: presentations and workshops! Last year I taught two blogging classes in my local community. I loved teaching when I am passionate about the topic. Last summer I had the opportunity to teach at a local camp for just a day of science fun. They asked me to return for a week of science classes plus two pioneer days! I've small and large groups about pioneer living. Earlier this year I thought I was stepping outside of my comfort zone when I was asked to speak to a group of ladies for about ten minutes. I quickly realized speaking to a group of women is just plain fun. For the past several months, I've been making preparations and plans for more science, pioneer, and Laura Ingalls Wilder presentations and workshops for children. Recently I shared pioneer games with a group of second graders. (I'll post about the games soon.) For my adult audiences, I've targeted topics of parenting, homemaking, and blogging. I currently speak to groups in my local area which includes southeastern Pennsylvania and parts of Maryland and Delaware. I've created a website so groups can get to know me. 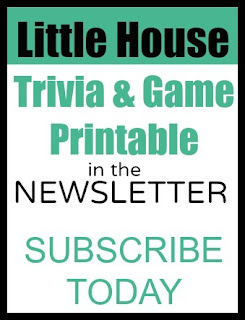 If you like, sign up for my newsletter. 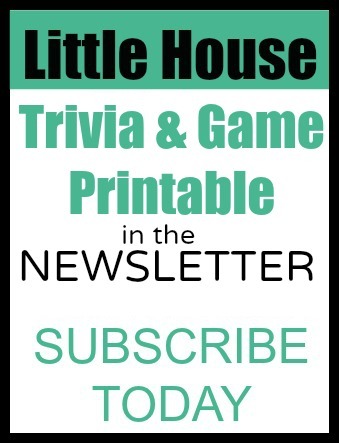 The newsletter will include some updates and plans, as well as a free a Little House trivia printable.